Nobody likes to think about it too much but inevitably one day you will have to leave your business or farm whether by selling up, retiring, or leaving for health reasons. It is very important to have a succession plan in place that makes the transition easy not only for yourself but also for your family or employees and minimizes the chances of the business or farm having to be sold up when you leave. 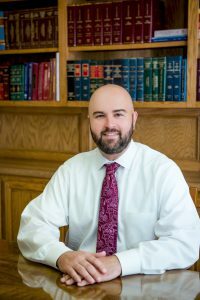 Contact us to find out more or to arrange a consultation with an experienced estate planning lawyer in the Greater Tulsa Area.